Hello October! I know I’m a few days late setting my October 2016 goals, but this month has been jam-packed already. We started off the month celebrating a good friend’s birthday, had a family movie date the following day, and then celebrated our 8th wedding anniversary on the 3rd. Plus, there were some very special Homecomings on Micro Preemie Monday. So far, October has been a really fun month! We have a lot more planned, but first let me review what happened with my September Goals. Make good progress in Potty Training We’re still going strong. Both boys are peeing in the potty…or I should say AT the potty, since they are standing. They even went when they were in childcare at the gym! Number 2 is only going so-so. Little P is actually doing great. Big C? Not so much. I won’t go into details, but we have lost a few pairs of undies. Get a good morning routine for Preschool and 1st Grade We were doing great, and then the bus started coming about 5 minutes earlier. It only took one day of running to the bus to get us back into gear. Enjoy my 40th Birthday!!! DONE!!!! Get back to my gym routine YES! Last week I even added an extra day. I’m feeling pretty good. Schedule Appointments Finally! I scheduled an eye appointment and a dermatologist appointment for myself. I also took all three boys to the dentist, and had a dental appointment myself. The twins are scheduled to have a check with a urologist. I do need to get everyone in for a flu shot, and Mr. B’s 7-year-old wellness check up this month. Spend time with Family Yes! We went with my parents and brother’s family to dinner for our birthday. My brother and sister-in-law also came out for drinks after, so that was fun. All the cousins got to hang out again when their elementary school had an ice cream social. I think September went pretty well. I’m hoping to make October even better. With getting back to school, starting work, and everything else going on, I feel like I’ve been neglecting the blog and my writing a little. I’m going to add a few blog goals, along with some personal goals this month. I have a lot to get done this month, but I know it will alleviate stress in the long run. Writing these goals on the blog each month really helps me with my accountability, so thank you for reading and ultimately helping me achieve them! 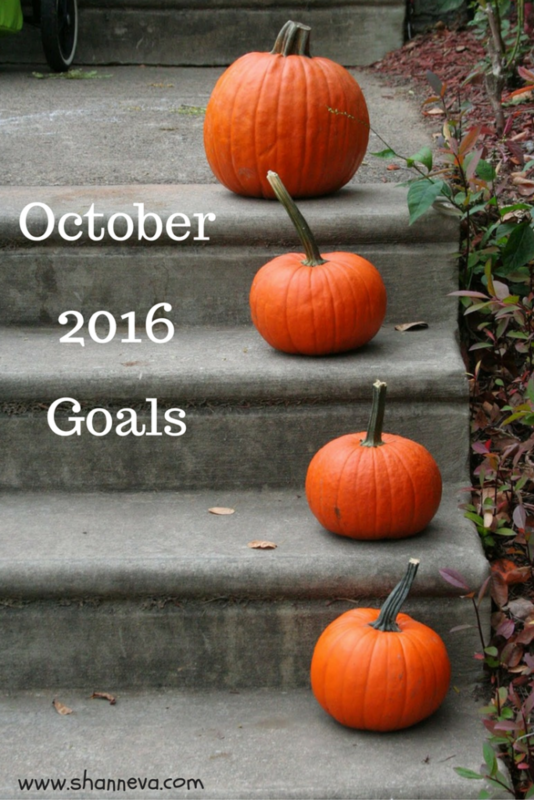 Did you set any October 2016 goals? Do you like writing out your goals? I need to write down monthly goals as well! This is such a great idea. Maybe I would get more things done. When you said you were late for writing your October goals I thought what is she talking about? It’s not October yet. I can’t believe October is here! Sounds like you have transitioned nicely into the fall routine. I have an ever growing pile of clothes waiting for me to get organized and get them donated. Thanks for the reminder. Great job on your goals last month!! I’m in the process of scheduling a few appointments myself. I really want to go to a pumpkin patch this month. I may try to go this weekend if possible. I also hope to grow my instagram followers and plan posts ahead of time. We got this!!! Looks like you’ll be busy busy! Good reminder…we need to get flu shots too, but I don’t even want to think about cleaning out the closet. Happy October! It looks like you’re going to have a wonderful October, Eva! Also big happy b-day to Mr. B! What an awesome September and great goals for October. Were still working on the potty too! Always progressing though. Congrats on the anniversary. We will make 5 years at the end of the month! Good luck on keeping up with your workouts! It’s one of my goals as well. Congrats on a great September! It’s only been October for a few days, but it has been a VERY busy few days!!! And I’m with you on Instagram. I’ll do good for a while, and then I’ll miss a whole week. Hello blogger’s guilt! I so agree on needing to write some posts ahead of time. I’m always so busy with everything else that I never seem to have time to get that done. 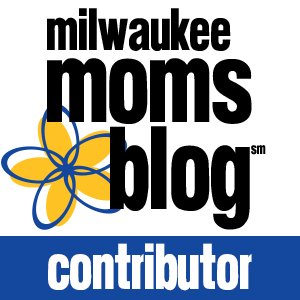 A big goal of mine is to get my business off the ground… not the blog but a different one. I filed for my LLC and now I’m hoping to start making enough money to be home. Wish me luck? Good luck to you as well. Hope you smash all your goals this month! You have some awesome goals!! Mine are to survive our 2-week fall break, start working out 3 times a week, and make healthy eating options. Awesome job with your goals from September and good luck with your goals for this month as well. I’m hoping to read a book, focus on instagram and Pinterest. So bad at goal setting! Good job at meeting yours, especially working out ? I enjoyed your writing style. Happy 8 year anniversary!! Sounds like your September went awesome, and good job on sticking to your gym routine. I need to get back on track with mine. Good luck with your goals for October— I need to set some goals for my blog. Also, make a better routine and gym schedule. Man, I remember as a child when the bus came early. I never told my mom, but we would run to the other stop. Luckily, our school bus had a circle type route so if you were fast enough, you wouldn’t miss it. I’m going to catch up on your goal list and follow along because my morning routine needs help. Awesome! When is your birthday? Well getting back to working out has been on my list. I never got it done. I promise i will soon. These are great goals and inspire me to make some goals of my own. Especially in regards to blogging. I need to get ahead with my posts! ?